Poultry probiotics added to your flock’s water every day is a great way to ensure your flock remains healthy and strong and that you have the best quality meat and eggs available. Not only does it build the health of your flock, but it can also protect you and your family from diseases such as Salmonella and E-coli. Here's why you should be adding probiotics to your poultry's water on a daily basis. 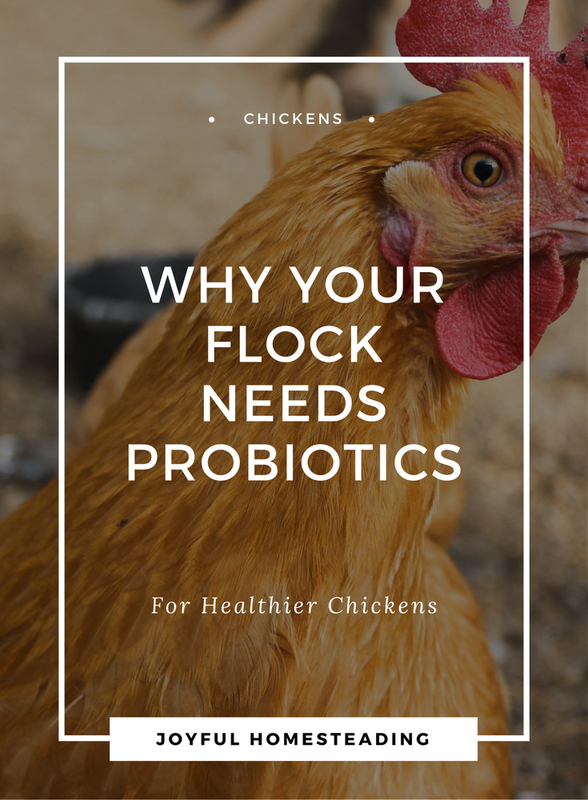 Probiotics are good bacteria that can strengthen the immune system and help your chickens digest their food more efficiently, helping them remain healthy and gain weight faster. Although it might not sound very appealing, all of us have bacteria - both good and bad - in our stomachs and intestinal tracts. Depending on whether we have more good or bad bacteria will affect our health and our ability to fight off illness. What's true for us is also true for our chickens. The more healthy bacteria they have in their guts, the better able they will be to fight off illnesses and parasites, a genuine concern when it comes to raising chickens. A research team with the University of Arkansas has been studying the effects of probiotics on young chicks, also called poults. What they found was that giving probiotics to newly hatched chicks helps to keep them from developing diseases in later life. It all has to do with competitive exclusion, meaning that the good bacteria out competes the bad. It's a concept that's been around for years, but scientists are now studying it in more depth. Feed good bacteria to poults and the good bacteria will take up space in their intestines that pathogens would normally occupy and eventually dominate. Since the good bacteria are there first, they take over and help keep the pathogens out. Protecting your chickens from pathogens is especially crucial at a time when they're stressed and the most susceptible to infectious diseases. When all is well with the intestines, villi - also known as little fingers - slow the movement of food as it passes through the intestines so that nutrients can be absorbed through the intestinal wall. In times of stress, the protective mucus in the intestines begins to deteriorate. Then the bad bacteria takes hold of the intestinal wall. The villi - also known as little fingers - which are normally in the small intestine disappear, meaning less nutrients are absorbed in the system and leading to increased vulnerability to disease. Your flock is particularly vulnerable during breeding times or if your flock becomes stressed for any reason. That's why it's a good idea to feed your flock a probiotic in their water. By feeding your chicks probiotics from the get-go, you can prevent them from developing dangerous diseases such as Salmonella and Campylobacter. Plus your chicks become healthier birds, process their feeds more efficiently for better weight gain and produce far healthier meat and eggs for you and your family to consume. 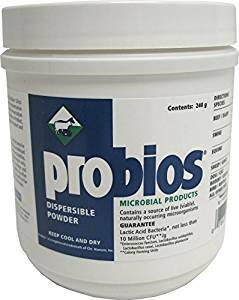 Adding a probiotic, like this one, to your flock's water, strengthens their immune system. If you give your chickens antibiotics for any reason, it is absolutely crucial that you give your chickens a probiotic at the same time. 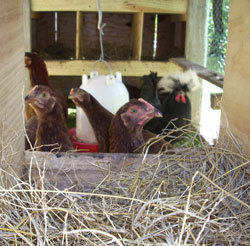 The role of antibiotics is to wipe out the bad bacteria in your chickens' systems. Unfortunately, the antibiotics also wipe out the good bacteria along with the bad, leaving your chickens intestinal tracts vulnerable to being invaded by pathogens that will later develop into disease. So be sure to feed your poultry probiotics on a daily basis.